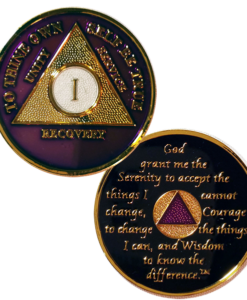 View the deep blue version of the AA Sunlight of the Spirit/God centered AA coin. 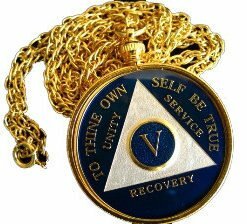 Spiritually charged by the aspects of blue like: Truth, Trust, Faith and Wisdom this coin is a depiction of principals we hold so dear. 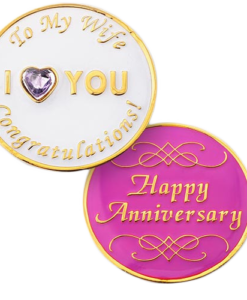 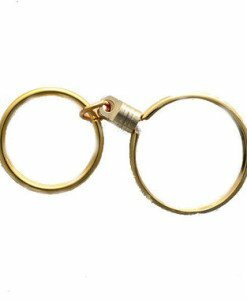 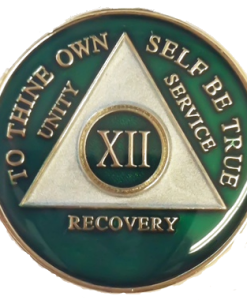 The Sunlight of the Spirit shines bright in Gold plate and has GOD right in the center because God is referenced 142 times in the Big Book of Alcoholics Anonymous we thought God should be right at the center. 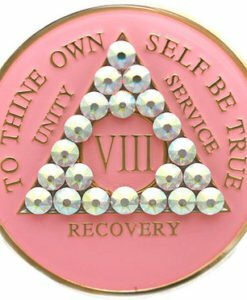 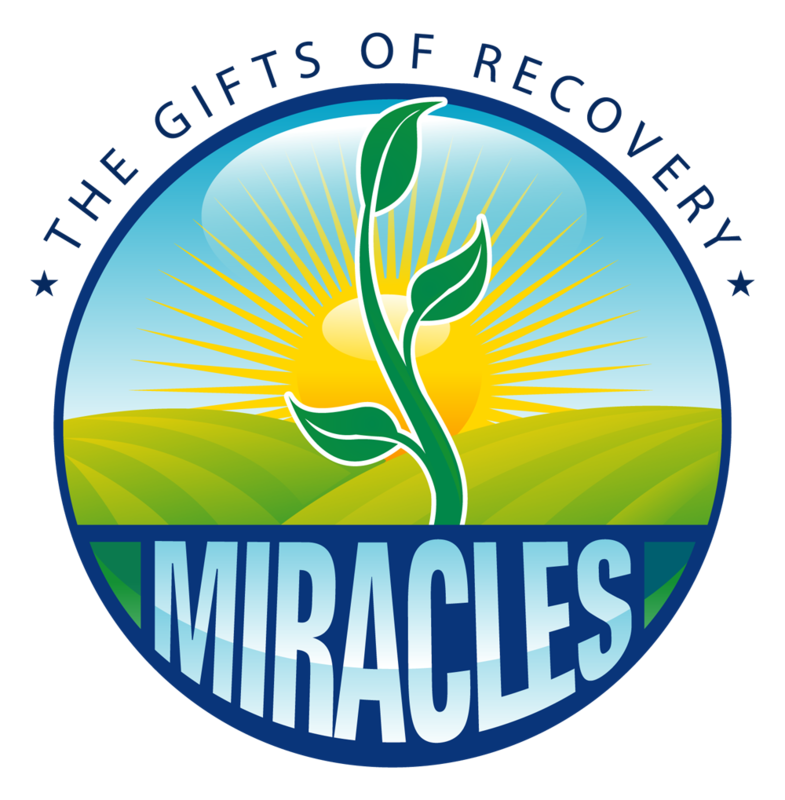 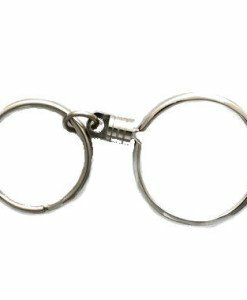 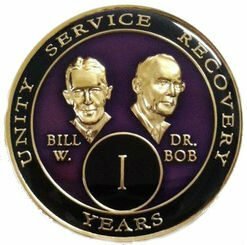 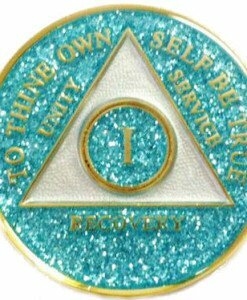 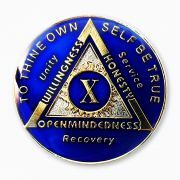 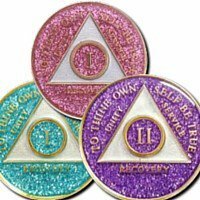 We also know the Essentials of Willingness, Honesty and Open mindedness are indispensable in Recovery so they are right on the front of this token. 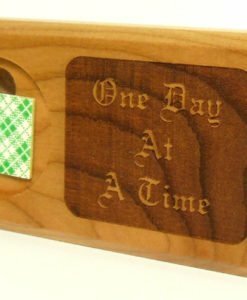 GOD is in all capitals for those of you who choose to call it Good Orderly Direction. 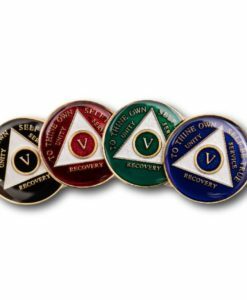 Anyone in Alcoholics Anonymous will appreciate the importance of this Recovery gift. 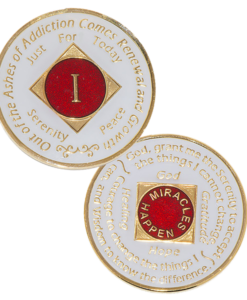 Like other AA Coins the Serenity prayer is on reverse also “S.OS/God Center” reminding us to keep God at the center of Recovery and this central idea to this new life of recovery …..”there is One who has all power that One is God.“, …”does for us what we cannot do for ourselves”…”does not make too hard of terms”, “……..May you find him now” we think you have…… The “S.OS/God Center” AA Coin both celebrates and commemorates that!